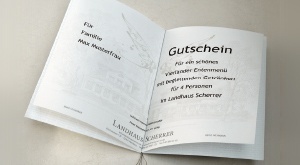 Since more than 30 years the Landhaus Scherrer has settled itself among Hamburg's leading restaurants. The exclusive, Michelin-star honoured haute cuisine, is incompareqable and the favourite place to be for the lovers of fine food, as well as for the high society. The exclusive winecard is the perfect addition for a fully pleasured visit. Simply click on one of the buttons and you will be forwarded to the different sections. 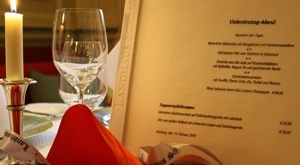 If you are interrested in having a look at our menu archive, please click on read more.